An Aussie guitarist who records under the name of Totally Undecided has just recently posted a sound clip on soundclick.com that we thought we would share with you. 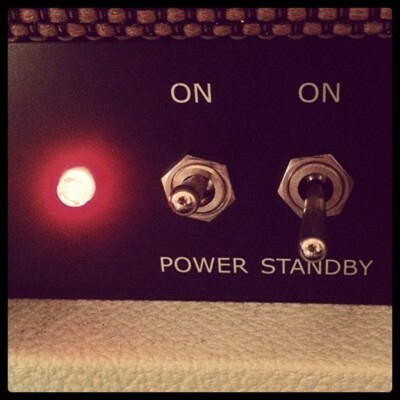 Mr Undecided recorded a short instrumental piece titled “Crunchy”, playing a Maton BB1200 Blackwood routed via an MI Audio Crunchbox into a Richards Studio Expressionist model amp. 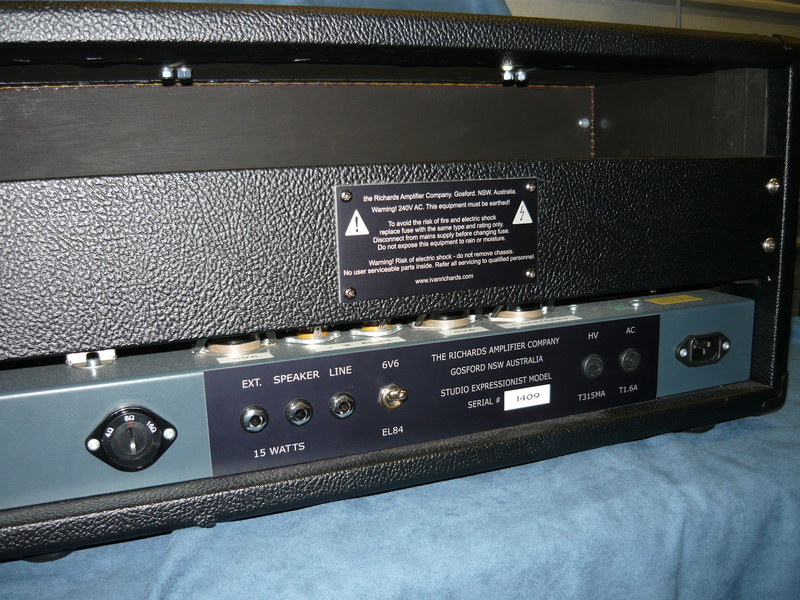 The amp was set to the 6V6 option, and the guitar & pedal were plugged straight into CH-1, ie the EF86 channel. 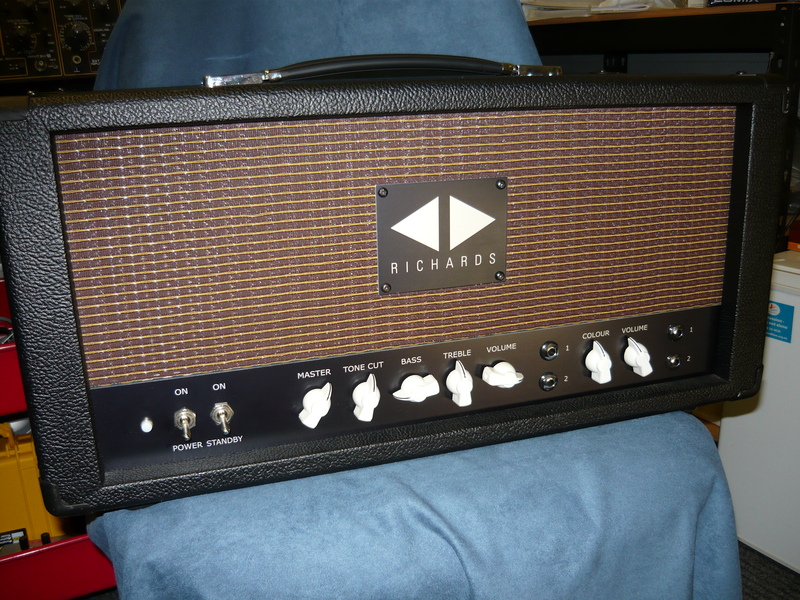 You will notice that the Maton BB1200, the Richards amp and the MI pedal are all proudly built here in the land of OZ ! We don’t know any details regarding the settings on the pedal or amp unfortunately, but crunchy is a very appropriate description. We do know that the amp was driving a 2×12 cab loaded with the Eminence Governor & Private Jack specialist guitar speakers. The end result rocks, and that’s what we love to hear. The Expressionist series amps are built in 7.5W, 15W & 30W models, and distinguish themselves from any current commercially manufactured amps that we have heard, with their pure, vintage British tones. 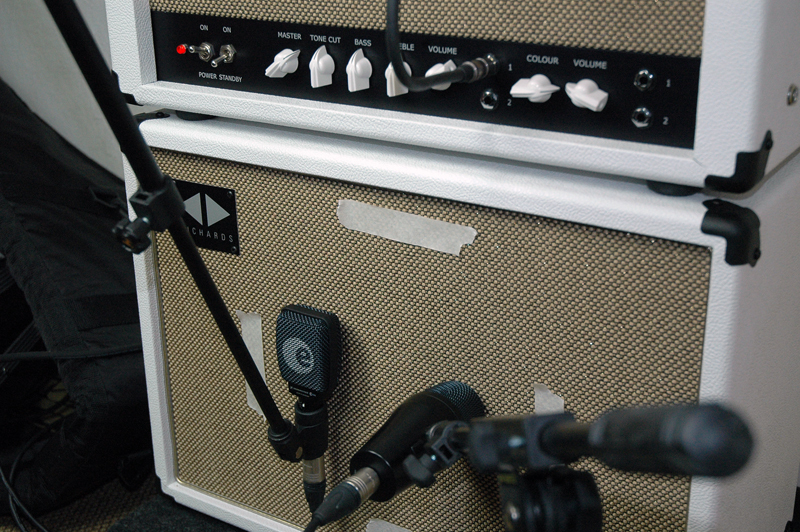 These amps work well with overdrive pedals too, as you can hear in the sound clip. Each & every amp is individually hand-built, one at a time, the old fashioned way. 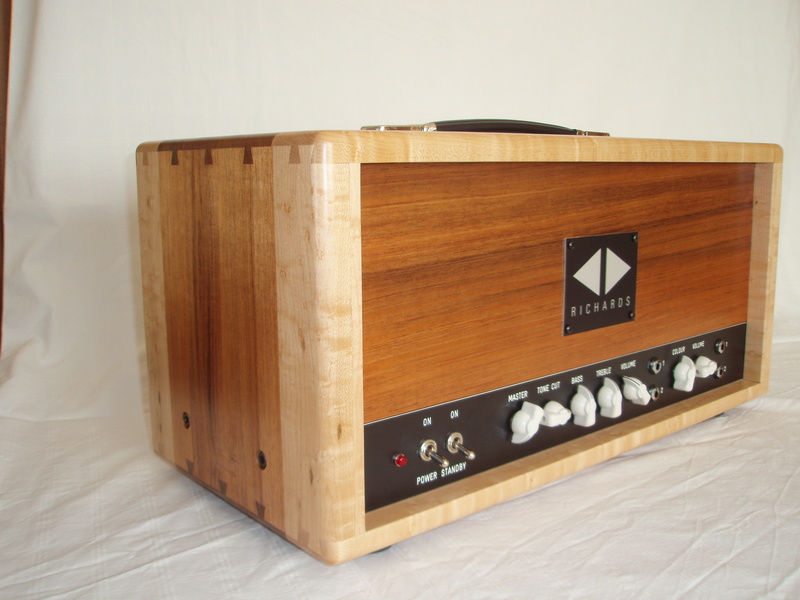 We would love to hear from any of you who may have recorded short but interesting pieces using any of the Richards amps. We are sure other people would love to hear your work, too. Thanks for checking in with us, more stuff coming soon. Regards, IR. This entry was posted on May 1, 2012 at 1:57 pm and is filed under Amps. You can follow any responses to this entry through the RSS 2.0 feed. You can leave a response, or trackback from your own site.